Since tonight is the first night of Hannukah and Christmas is coming up very soon, I wanted to wish all of you a wonderful holiday season. This has been by far the biggest, most successful holiday season for Colette Patterns. I’m going to do a recap of the year soon, but wanted to take this opportunity to say thank you to everyone who purchased (or asked for) a book or pattern this year. If you are still seeking a last minute gift for the animal lover in your life, consider a donation to our partner charity, The Pixie Project! They do amazing work, keeping beautiful dogs and cats off death row, getting them healthy, and finding loving homes. Gift donations are such a wonderful and refreshing thing to receive at this time of year, don’t you think? Does anyone else have suggestions for organizations to give to this year? Sewing Chatter: Do you enjoy sewing for others for the holidays? May the next year be even more successful as you continue to create new and beautiful patterns! All the best to you and yours…. and thanks to you for providing us with gorgeous patterns, besides this lovely website with its store of inspiration and knowledge…. In my country, I donate to a bunch of animal shelters – plus an organisation that gives street kids somewhere to hang out where they are safe and given the opportunity to learn if they wish – so worthy, I think, and probably egoistic in a way as these are some of the adults of the future! I give money to Kiva, which gives small loans to small businesses. You can select the recipient–and I always choose sewing establishments. Lynn, I’m actually planning to start a Kiva team to encourage other sewists to give there as well. I’m going to post about it soon. I think it’s a great way to help others become financially self-reliant. Instead of doing secret santas at work, we give to a charitable organization. In past years we’ve drawn names and then found a gift that we thought a 7-year-old or whatever age version of our co-worker would have wanted and then donate the lot to the local organization that collects toys for kids. Last year we were asked to buy a game from our childhood. We all shared a childhood memory about playing this game and then donated it. This year our Christmas party is to late to make the deadline, so we are collecting donations of personal care items and donating it to the local domestic abuse shelter. We’ve got several boxes of diapers, shampoo, conditioner, razor blades, soap, body wash as well as a lot of donated food. Ooh, I love this question! Knitmo, what a great idea for an office gift exchange! I second Lynn’s idea for Kiva, and my family also is a huge fan of Heifer International. It’s such a great gift and tribute to someone to care for another person in their name. I also make a donation to Curly Tails Pug Rescue in honor of my pug’s best friend (our neighbor, who is super nice to him and takes him for walks every day when she gets home from school). Happy holidays! I donated a small amount (what was left on my paypal-account) to the kitties. Colette and cats; two things I can’t resist! 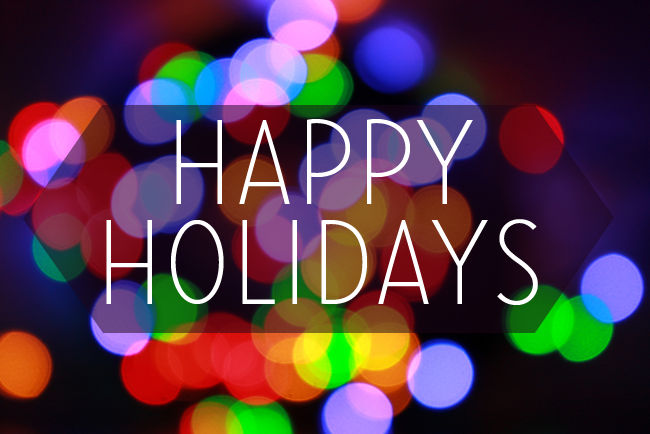 Happy Holidays to you & your staff as well! Your book was my Chanukah present to myself. I am mostly self taught & my sewing skills are probably intermediate. And yet I have learned quite a few useful tips from the first section of your book! The presentation is lovely and the colors are a delight to the eyes. Now help me with organizing my sewing room! Happy Holidays and thank you for making my year sew crafty and fun! All the best! Thank you for your wonderful patterns and the book and all your awesome tutorials! Glad it’s been a great year for you:) I like to donate to charities that help kids get books at home or in school. Milk and Bookies is my favorite organization right now. go to http://www.gfa.org/gift/browse/gifts-for-the-poor/ and give a sewing machine for a poor woman in South Asia. She’ll use it to earn enough money to take care of her family. I just have to say that I got your book as a present for Christmas, and I squealed with joy! I’m so excited to try all the projects.